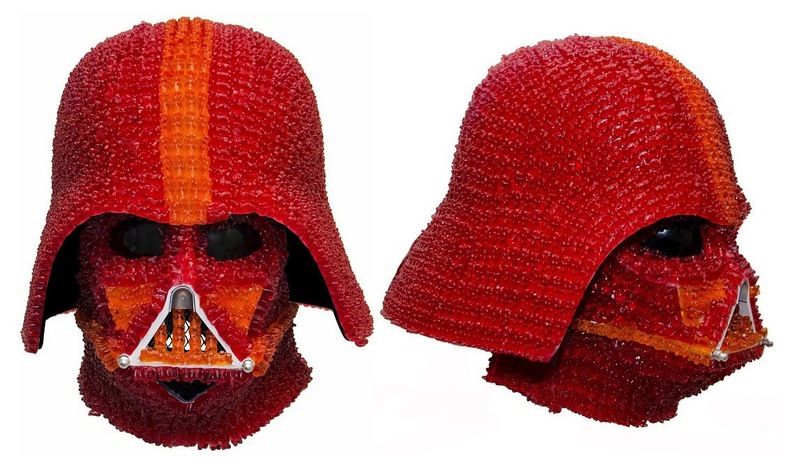 While to you and me 1,000 Gummi Bears seems a way to drown our depressions in a sugary high, for artist Crummy Gummy they are the perfect media required to make this full-scale replica of Darth Vader's helmet. Yes - full scale means someone could actually wear this, and eat their way out. I realize he must have used some sort of toxic glue to put that together, but all I'm thinking is I'd like to take one with me to the Star Wars opening this Christmas and munchy munch it to death.